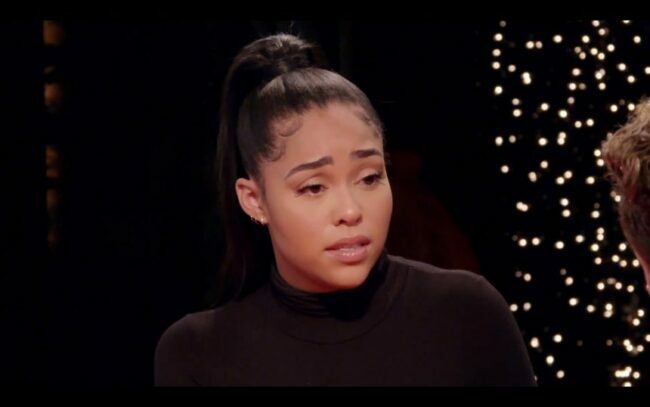 Jordyn Woods appeared on The RedTableTalk today to speak with Jada Pinkett-Smith. They chatted about the alleged cheating scandal with Tristian Thompson. Woods who is known for being close to the Kardashian family has been in the public eye ever since this story broke. Woods seems to be very sorry and had no problem taking ownership of her mistakes. She told Jada that they had all went to a club that night. Following the club, they went to Khloe Kardashian’s husband Tristan Thompson’s house. Woods says she was drunk but still recollects the events that night. She also says she never sat on his lap but had her feet on his lap. She claims Tristan had kissed her before she left his house. She wants to fix things with the family but knows that this situation is very damaging. She decided to speak publicly after stating her family has received backlash from people as well as threats. She is willing to take a lie detector test as well. Since the interview aired Khloe has gone to Twitter to respond.